Just scan through the following details, the sheer number of features both Relaxonchair MK-II and MK-IV have to offer are usually not part of other chairs in the specified price range. Even more, the two are suitable for all personalities alike and designed to fit heights up 6 feet 3 inches. With the number of features and the price it comes at, we can clearly call Relaxon MK II as a mid-range massage chair. Although, not a reputed brand but Relaxon MK-II surely has secured some decent number of reviews and the overall rating too is outstanding. Moreover, its performance and customer feedback/satisfaction is on par with most established brands in massage chairs segment. 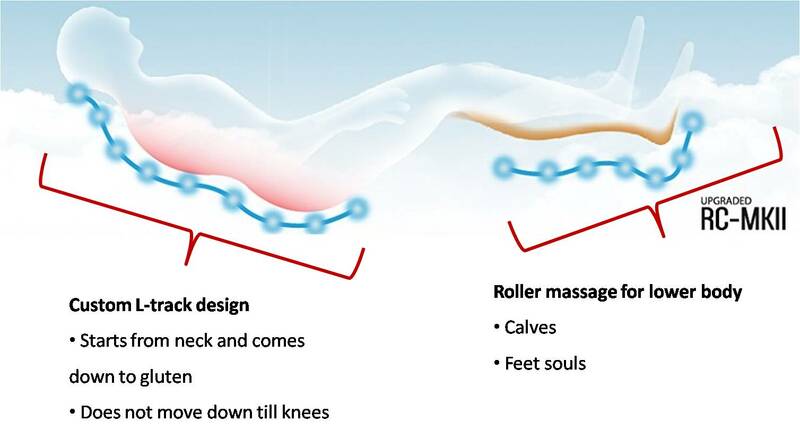 While S track designed chairs offer roller massage only on the upper and lower back and in L track designed chairs, these rollers move all the way down to the glutes and thighs. But Relaxonchair MK-II has employed custom buttlock L-track design. We can also call this buttlock L track design as hybrid S/L track design. But when it comes to lower body, it does not follow the entire L track course. The rollers limit to glutes and upper thighs instead of moving down up to your knees. The issue with standard body scan feature seen in other regular low-end massage chairs is that they just measure the height and width of your back irrespective of body curvature. Hence, the rollers mostly miss critical points and not follow spine curvature in such massage chairs. Whereas, the computerized body scan incorporate in Relaxon MK-II chair is as advanced as 3D Scan. Zero-gravity position is the most relaxing of all postures. Lying in this position and combined with roller massage in your back produces immediately results. While other chairs offer at the maximum only 1 zero-gravity position owing to design constraints but Relaxonchair MK II offers 3 positions. 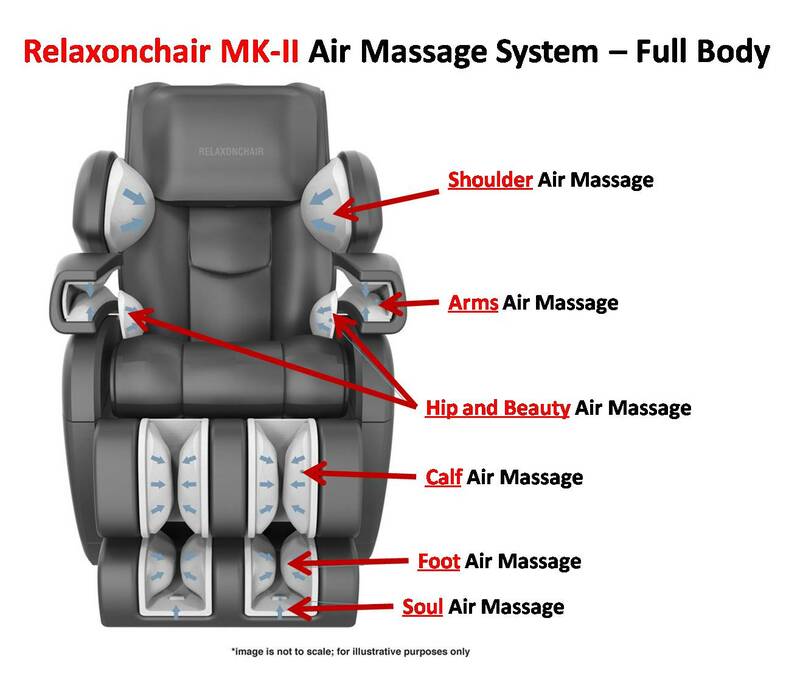 The main massage techniques widely seen in massage chairs, Shiatsu and knocking are somehow missing in this Relaxon MK II version. It simply has two techniques and a combination of the same. 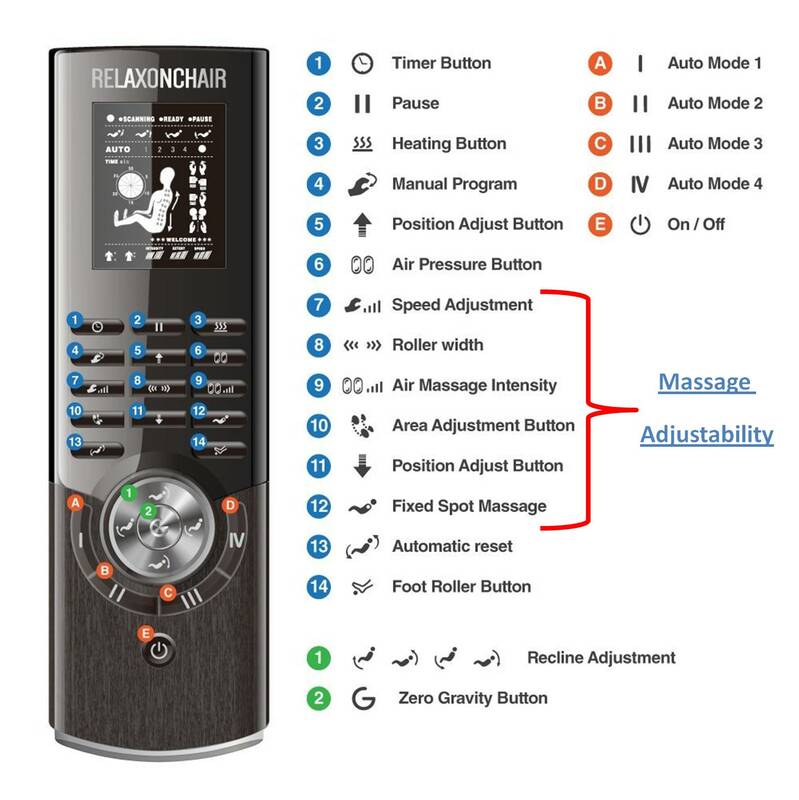 The remote control has dedicated options to control massage intensity. Roller massage for back/feet and air massage across arms, hips and lower body have separate options. Relaxon also comes with the option to time your massage programs. You can set the massage timing up to 30 mins by choosing between 5 mins to max 30 mins with every 5 min interval. 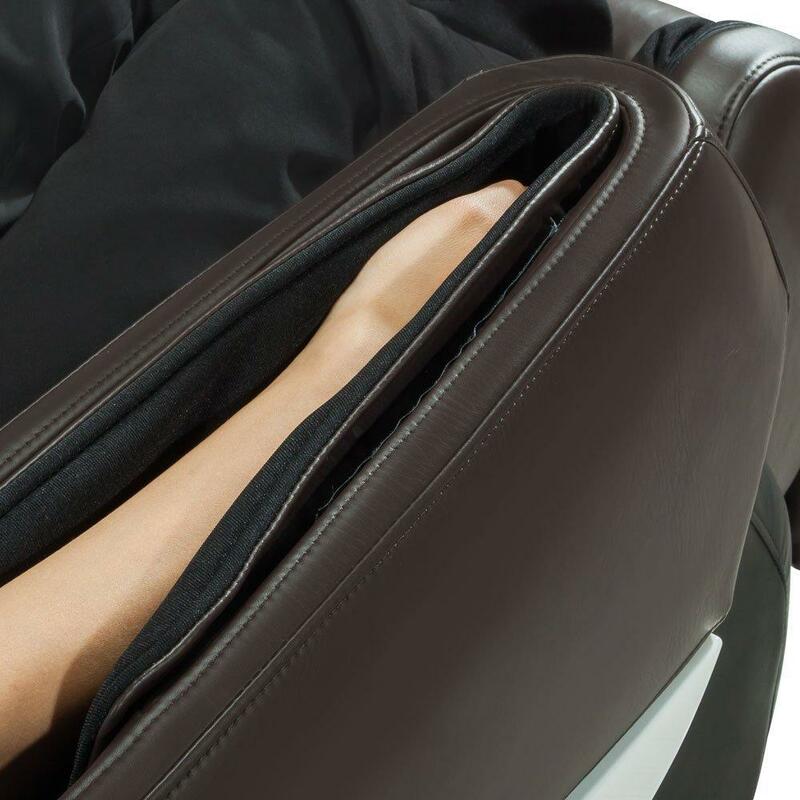 There are as many as 20 airbags across the upper and lower body sections in Relaxon massage chair. These are distributed across arms plus shoulders in the upper body and around hips in lower back. Maximum number of airbags are embedded around calves and feet. 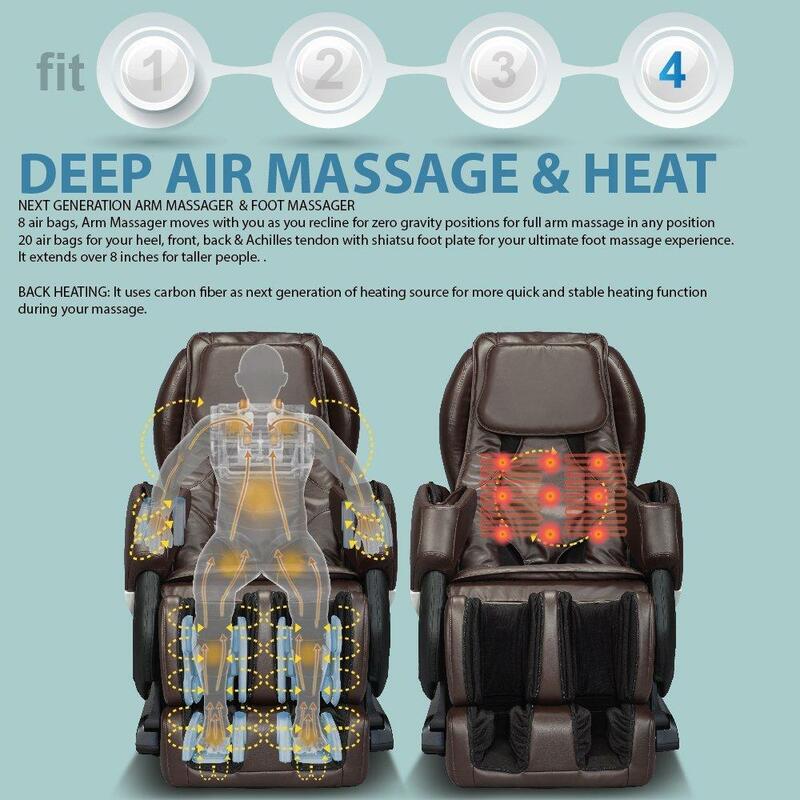 Relaxon massage chair comes with heating pads in the lumbar. Acute back pain cannot be just treated with regular roller or air massage. There has to be heating elements in place for quick results. Like in all chairs, there is no option to adjust the heating, either turn in On or Off. In case, you happen to feel that the heat is somehow unbearable then it would be apt to wrap a cloth or towel around your waist to minimize the heat. The feet section has both rollers as well as airbags. While rollers massage feet soul from toes to heel, air massage covers whole upper surface of feet up to your ankles. For lower legs, airbags are embedded in leg ports which wrap around calves. The feet section is designed to be extendable and can comfortably accommodate people up to 6 feet 3 inches in height. Simple and sleek looking remote with visual display makes it relatively easy to tune all adjustments. Unlike multiple functions embedded on same keys, Relaxon MK-II remote has independent keys for each of the functions. Relaxonchair MK-II is a mid-level massage chair that comes with decent number of advanced features. It is rather reasonably priced, especially when you compare the feature set against its price. Although it is not a recognized brand, yet it has secured exception rating and customer satisfaction. One feature that places Relaxonchair MK IV ahead of its contemporaries is the memory savable option. Yes, there are as many as 3 memory savable positions. Relaxonchair MK IV also comes with custom SL track design. While the S track is perfect as the rollers cover entire of your back but the L track is limited to just glutes. Very similar to Relaxon MK-II, it does not stretch down to your knees covering your lower thighs. Relaxonchair MK IV comes with advanced computerized body scan feature. It precisely measures every inch in your back. Additionally, the remote control also offers the flexibility to adjust the rollers width. Yes, if the rollers are either too wide or too narrow, you can adjust their width to best cover all pressure points in your back. 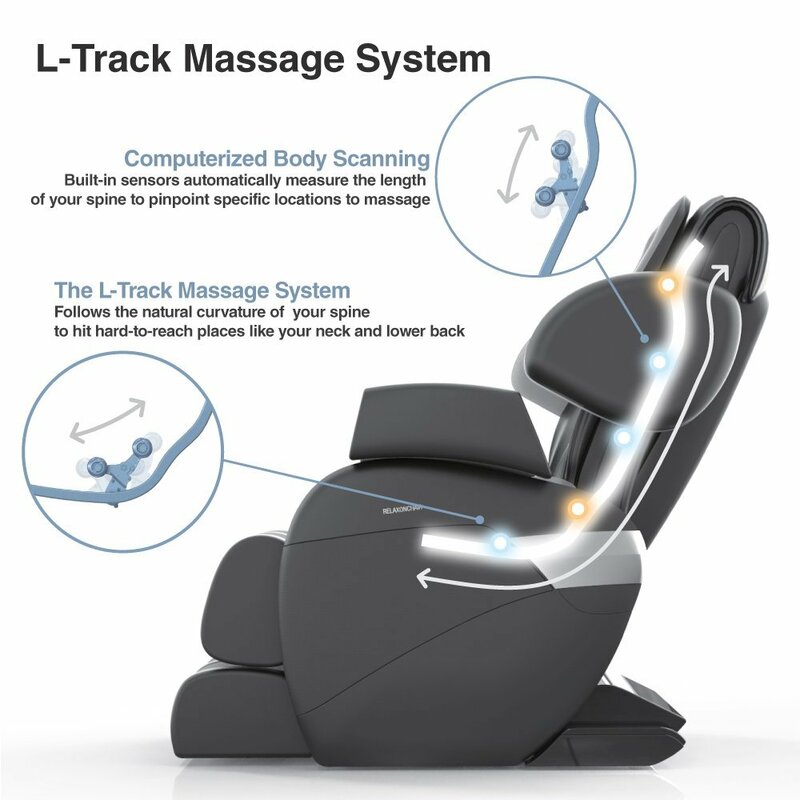 This feature is quite unique and not part of any other massage chair in the market, including premium high-end massage chairs. The micro shoulder adjustment feature allows you to seamlessly fine tune the rollers to reach precise areas in your neck and shoulders. Like in MK-II model, Relaxon MK IV also offers 3 zero-gravity positions. Zero-gravity is the ultimate relaxation posture. Yet, due to space constraints most chairs do not offer this feature. Relaxonchair MK IV on the other hand, consumes just three inches extra space even while offering all three zero-gravity positions. Such is the advanced design incorporated in Relaxon massage chairs. Relaxonchair MK IV comes with 5 auto massage programs. 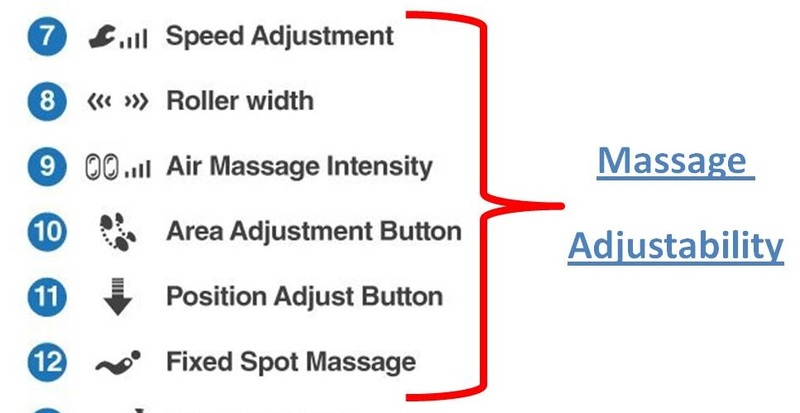 Remember, there are only 4 auto massage programs in Relaxon MK-II version of which Stretch was in fact not exactly a massage program. 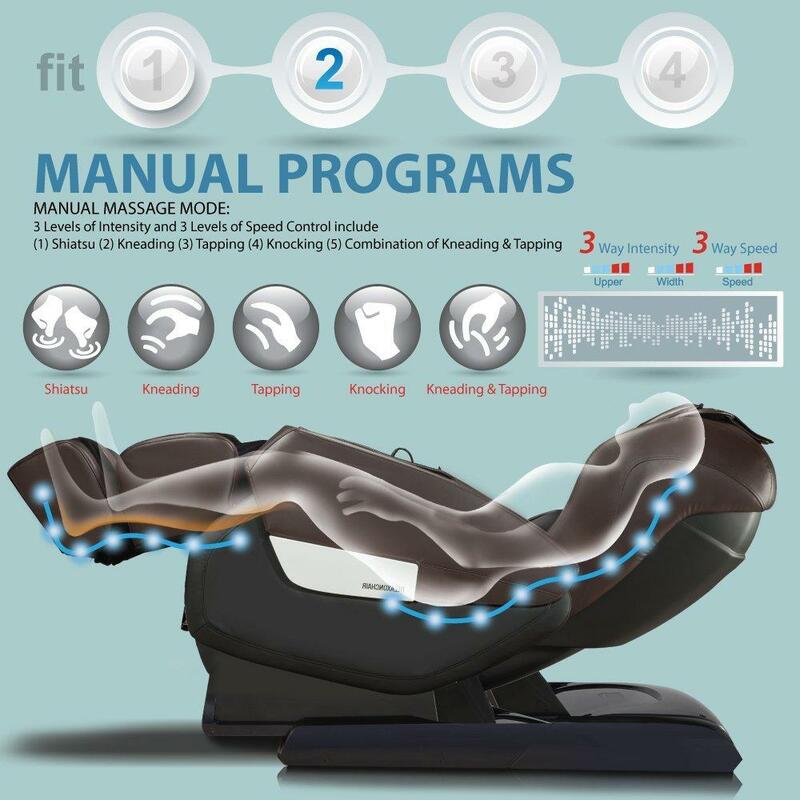 While there are only 2 massage techniques with one combination in MK-II model, there are as many as 4 massage techniques and one combination in Relaxonchair MK-IV massage chair. 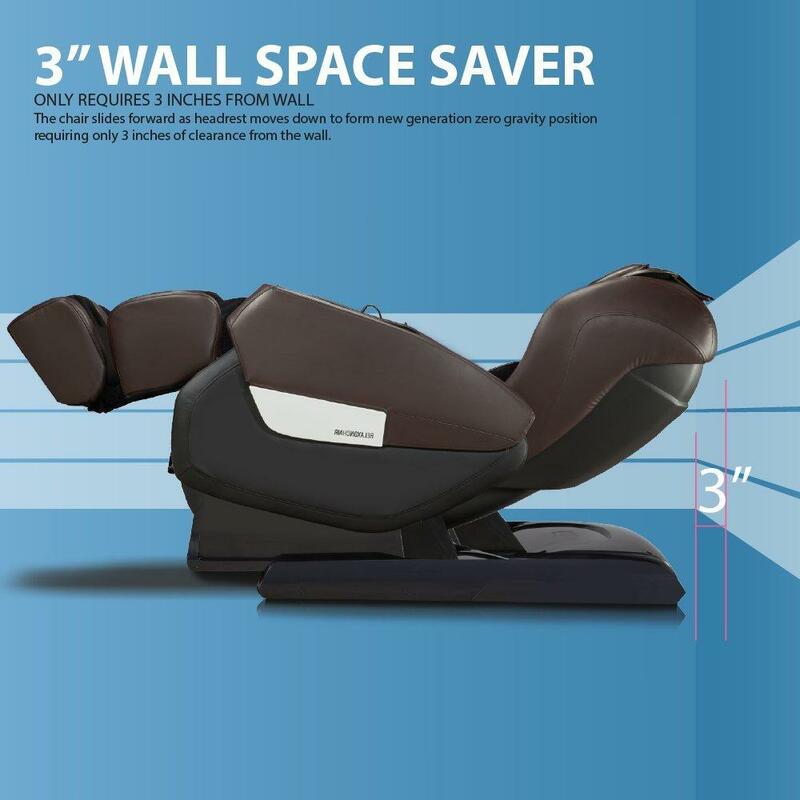 The innovative deep air massage technology embedded in Relaxonchair MK-IV is primarily focused to offer excellent and unmatched air massage experience. There are a total of 28 airbags distributed across shoulders, arms and calves including feet section. While 20 airbags are incorporated in lower section of the massage chair covering calves and feet, the rest 8 large airbags are for upper body across neck, shoulders and arms. Both roller massage as well as air massage can be adjusted between 3 intensity levels. Additionally, these three different intensity levels are also applicable to customizable memory savable programs. Relaxonchair MK IV also comes with massage timers, wherein you can set any massage program for desired duration between 5 minutes to 30 minutes. The heat therapy experience offered by MK IV is far superior to its contemporaries. Heat plates placed in lumbar section of the Relaxon MK IV are incorporated with next generation carbon fiber. 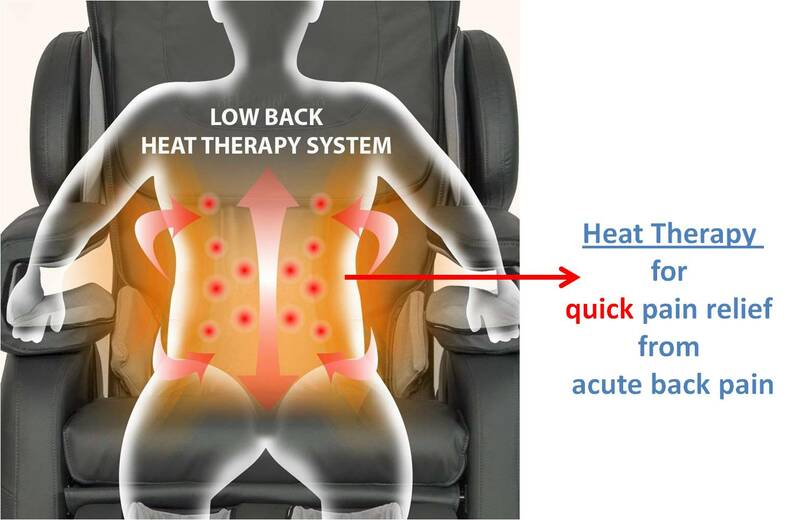 Hence, the heating is quick and stable unlike regular massage chairs where the heat generated is either too low or too high. There is absolutely no match to the feet massage experience offered by Relaxonchair MK IV. While regular quad rollers are part of every other massage chair but Relaxon has moved a step ahead and included an out of the box feature, shiatsu rollers for feet massage. 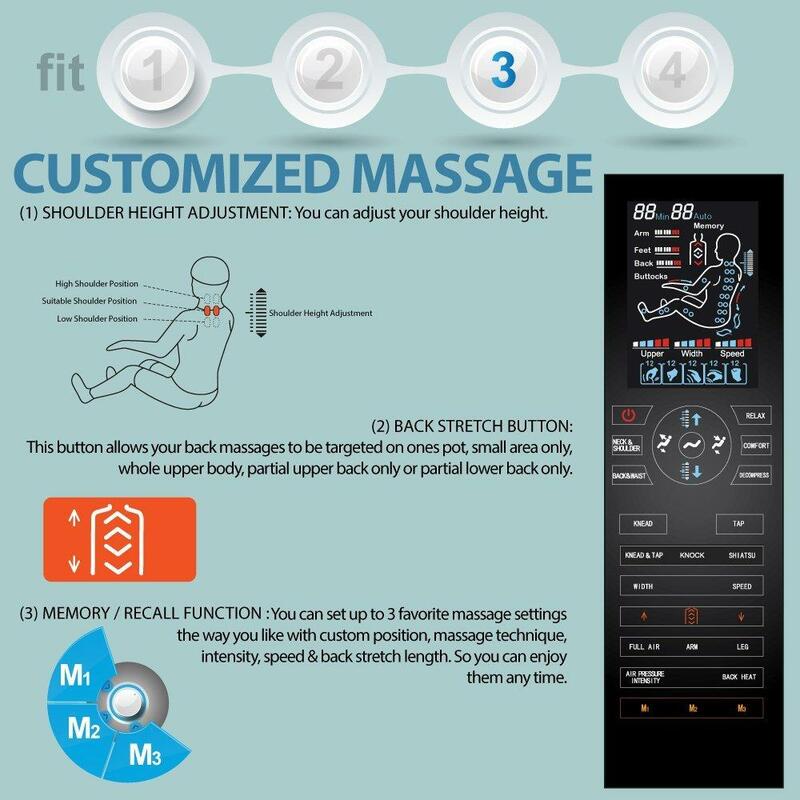 Remember, shiatsu is the highest quality massage experience and most other companies include shiatsu as a massage technique focused only for back massage. But offering shiatsu massage experience even for feet is surely commendable effort. Like in MK-II model, the remote control of Relaxonchair MK-IV is also sleek and stylish in look with dedicated options for each of the functions. Relaxonchair MK IV has most features of a high-end chair yet the price is of mid-range adjustable chair. The 3 customizable memory savable programs and the experience of therapeutic massage are a definite bet at this price.